To keep entry doors looking and performing their best, heed the advice of contractor, author, and old house expert Scott Sidler. 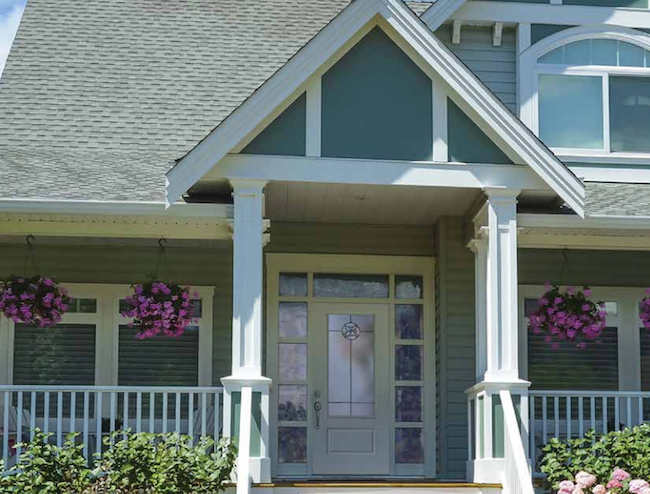 If there were one rule in home exterior maintenance, it might be this: Don’t skip the door. 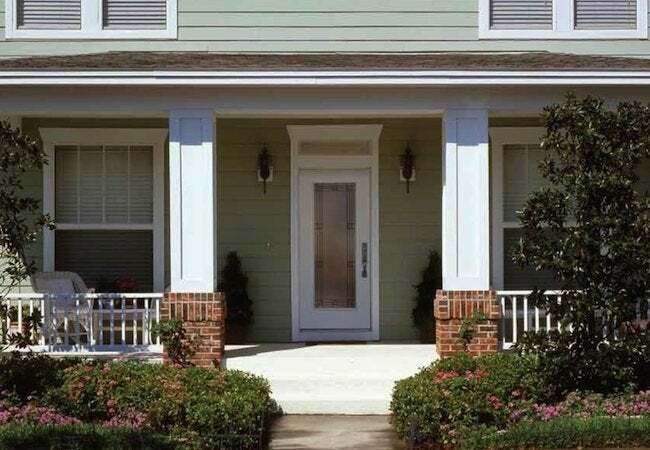 With their frequent daily use and constant exposure to the elements, even well made, properly installed entry doors are prone to wear and tear. Given their partly utilitarian role in the home, doors are too often taken for granted and left out of monthly or annual upkeep routines. That’s a mistake, according to contractor, author, and owner of Austin Home Restorations, Scott Sidler. Here, Scott tells us what threats exist to the appearance and functioning of doors, and more importantly, what can be done to ensure that the door enjoys a long life. What about ongoing maintenance? Are there annual upkeep tasks that you would recommend? Scott: Spot-check the finish at least every year. Because of the stronger sun we have in the South, I see a lot of peeling paint. Here, paint chalks very quickly and doesn’t last nearly as long as it does in the rest of the country. But as long as you care for the door by keeping it painted, you’re not likely to have issues. I’d say that around here, a front door probably needs a fresh coat of paint—and at least a little sanding—every five years. It depends on the level of exposure it gets. If the door isn’t covered by a porch and is out there in the full sun, you may need to paint it as often as every two or three years. Parents always scold children for slamming the door, but the sun and the rain are really a door’s worst enemies, right? Are there any steps you would recommend taking to minimize with the vulnerability of an entry door installation to the elements? Scott: Many door jambs come with a factory finish on the side that’s visible to everybody coming and going in the house. But the back side of the jamb is usually left unfinished. So when we install a pre-hung door—whether it’s a fiberglass, steel, or wood door—we always make sure to back-prime the wood jamb to give it that much more resistance to moisture and insects. The other thing you can do is a borate treatment. It’s nothing complex. Borate either brushes or sprays on. Once applied, it migrates through the jamb, helping to the lengthen its life at minimal extra cost. It takes five minutes. Editor’s note: Borate products are inexpensive and readily available at The Home Depot, which is also a great place to buy a entry door. The retail chain sells the full line of doors made by Masonite, a long-established leader in the product category whose fiberglass, steel, and wood doors come with a limited lifetime warranty when purchased at The Home Depot. If you need help choosing a new door, check out Masonite Max. Offered jointly by Masonite and The Home Depot, Masonite Max is an easy- and fun-to-use tool that guides you through the process of designing the perfect door for your project. What other issues are there to watch out for? Scott: Of course, these problems don’t tend to affect fiberglass or steel doors, but in the warm, humid season, doors made of wood often stick. Then in the winter, everything works again. What some people do is shave down a sticking door in the summer so that it opens and shuts smoothly again. But now you’ve got a problem, because in the winter, that door is going to shrink, leaving big gaps all around it. If you’re going to modify a wood door because you’re having trouble with it, be sure to make allowances for the time of year. 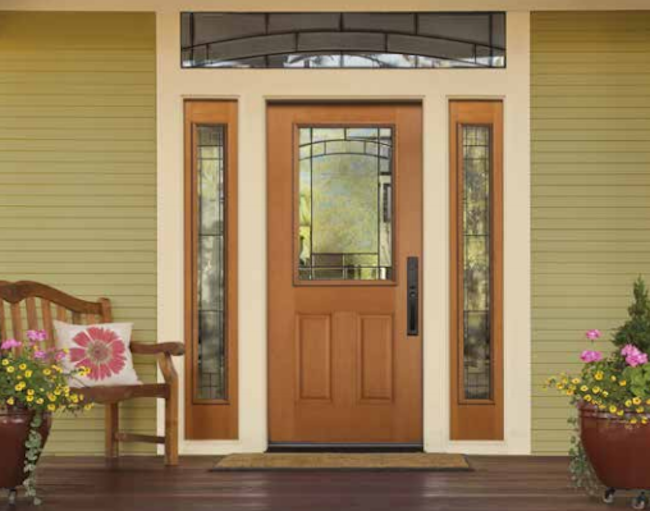 Fiberglass and steel doors are less sensitive to weather conditions, so they’re free of these seasonal issues. Assuming you’ve got the new door, it’s the style for your house, and you’re properly maintaining it—what are the benefits that can be expected? Scott: I don’t think a lot of people think about it this way, but the front door is the only part of your house that anyone will stand and stare at, with nothing else to do. This is how I explain it to homeowners: A guest doesn’t walk up to a wall in your house and just stare at it. But at the front door, while they’re waiting for you to answer it, visitors are just going to stand there and stare at the door. The door and its hardware. That’s the stuff your guests and potential homebuyers see first and linger on. Meanwhile, you probably go in and out of the front door every day. So make it something you love. And if there is one door in the house that should work smoothly, it should be your front door. It just gets so much attention. It’s the first impression your home makes. Don’t skip the door! Editor’s note: Choose a new entry door with the best chance of standing up to the inevitable wear and tear it’s going to experience. In continuous operation since 1925, Masonite manufactures doors in an array of materials and style, and the company specializes in durability. 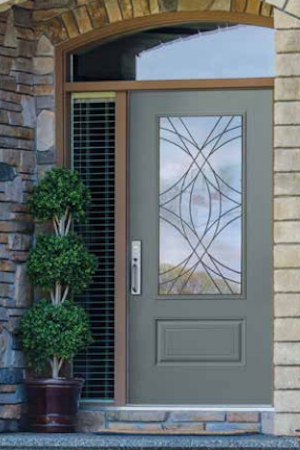 Among the many Masonite product lines are its Barrington fiberglass doors, which stand out for their resistance to denting, warping, splitting, and cracking. Not sure what type of door you want? Don’t forget to try Masonite Max, a new online tool that guides you through the process of designing the perfect door and easily purchasing it from The Home Depot.